I finally finished the reworked fronts last night. I would have been done sooner had I not forgotten to bind off for the armholes. At least the fronts are now done! 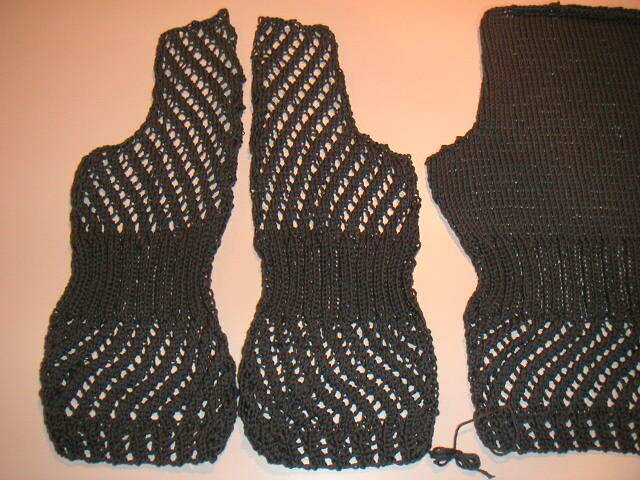 I started the sleeves after the fronts were finished and those will be done in a flash. I hope I can block all the pieces later this week.